The remains of the old mill at Polmaddy. The low-walled remains of houses at Polmaddy. Low-walled remains of a house. Bloomery material from Polmaddy is in Dumfries Museum. 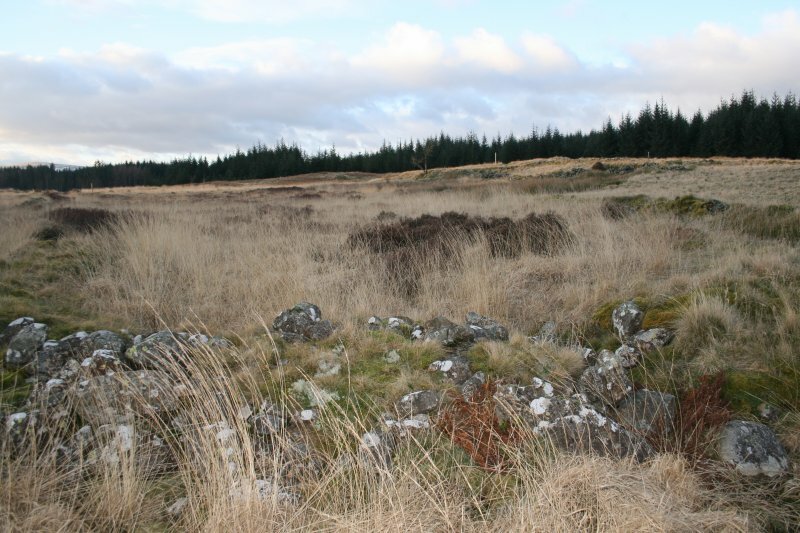 Excavations were carried out at the 'ferm toun' settlement of Polmaddy, abandoned in the early 19th century. Work was concentrated on the west end of a long structure, 20.5m x 8.9m overall, and a corn drying kiln. The building proved to have at least two structural phases, both 18th century, and this was probably one of the last buildings to be occupied. Excavation has not yet revealed full details of the floor area but the abundance of charcoal and iron slag, and the presence of heavily burnt patches could suggest an industrial function. (Modern Polmaddie farm is at NX 599880). A deserted settlement situated on gently rising ground north of the Polmaddy Burn. It comprises the footings of at least five rectangular buildings and two corn drying kilns. There are several field walls evident. The excavation appears to be continuing. No iron slag could be seen. Visited by OS 17 July 1978. 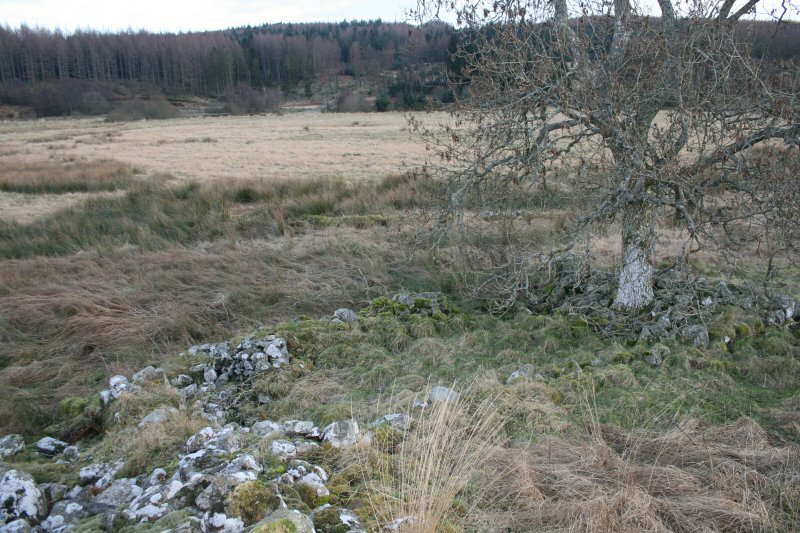 Yates reports on partial excavation of this deserted settlement or 'fermtoun' which comprises numerous house-byres, five corn-drying kilns (three of them kiln barns), a watermill and associated yards and cultivation remains. Cruck-slots noted in building 9. A township annotated 'in ruins', comprising eleven un roofed buildings, one of which is a mill, three corn-drying kilns and a number of enclosures is depicted on the 1st edition of the OS 6-inch map (Kirkcudbrightshire 1853, sheet 9). Ten unroofed buildings, one kiln and some enclosures are shown on the current edition of the OS 1:10000 map (1979). Information from RCAHMS (AKK) 13 September 1999. It is likely that Polmaddy was a joint tenancy farm and, although on record from the early 16th century, most of the surviving remains probably date from the last phases of occupation prior to the abandonment of the site in the early 19th century. The most substantial buildings are a mill and an inn, the latter standing close to the old Kirkcudbright-Ayrshire pack road. At the centre of the township there is an irregular pattern of enclosed fields, and much of the surrounding ground bears the tell-tale corrugations of old ploughing or rig-cultivation. Associated with these arable plots are the remains of no less than five corn-drying kilns. The drystone rubble foundations of the other buildings have few diagnostic features; one at least has a low-level byre drain, and some may have served as byre-dwellings. The website text produced for Polmaddy webpages on the Forest Heritage Scotland website (www.forestheritagescotland.com). 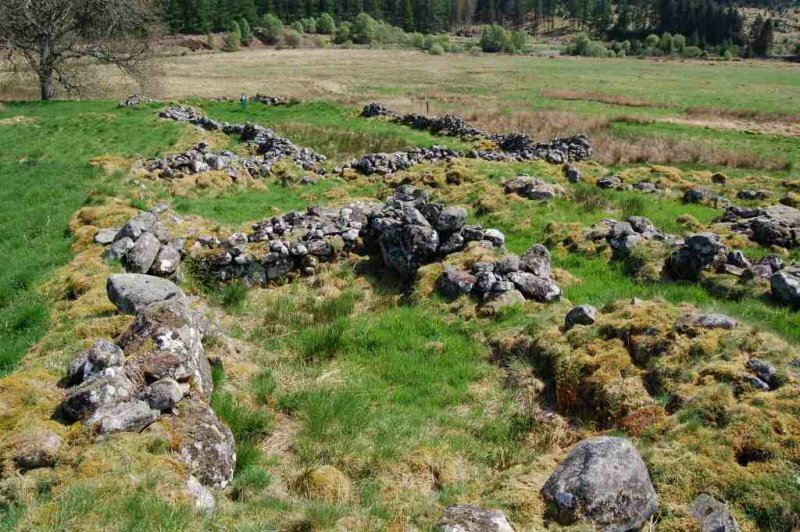 In a clearing at Castlemaddy Woods, you can explore the remains of Polmaddy, a traditional Galloway ferm-toun, or farming village. Changes in farming, during the 18th and 19th centuries, led to the abandonment of many such small farm villages in this area. In the 1700s, landlords began to make changes to the way they used the land. They were looking to modernise and so introduced new agricultural machinery and farming practices. Called "improvements", these changes aimed to increase productivity and make more profit. The situation leading to Polmaddy's abandonment in the early 1800s is unknown. It is more than likely, however, that it was a victim of the "improvements". Tenant farmers were "thirled", meaning legally bound, to have their grain ground into meal at the local mill. They had to pay a portion of the grain for the privilege. This was often not popular. One of the types of crops the farmers grew was bere barley, frequently used to make ale. 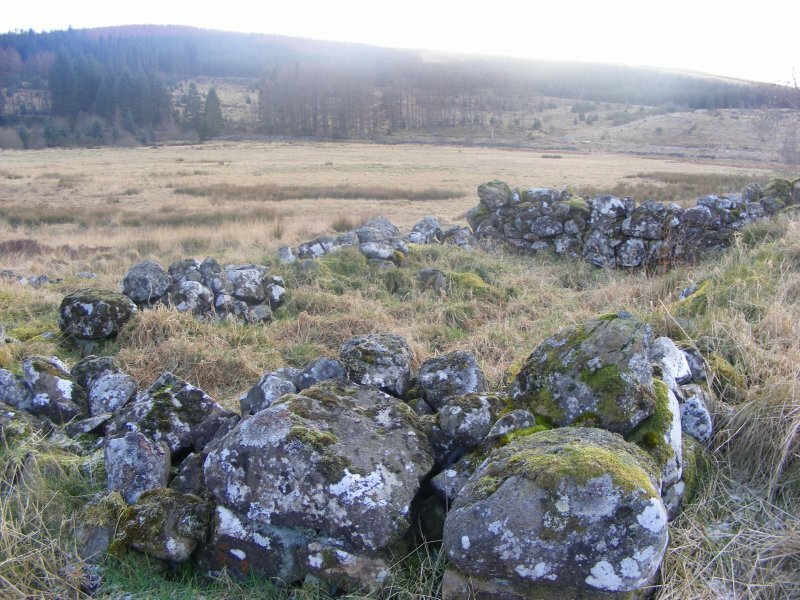 Unusually for a small ferm toun, Polmaddy had its own inn, called Netherward. Located on the main road from Kirkcudbright to Ayr, it was a place for weary travellers to get some refreshment. 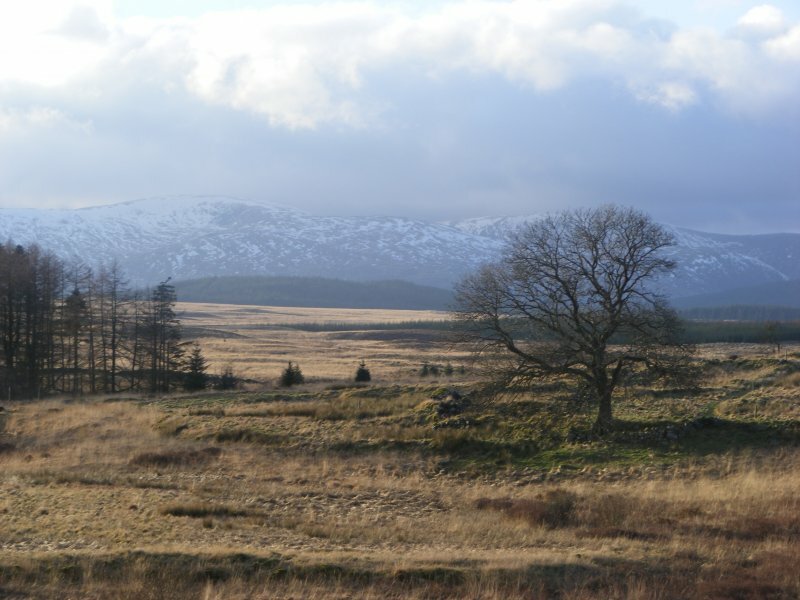 In 1971, the Forestry Commission (FC) bought the land where Polmaddy stood. A local, Mr Ansell, informed the FC of the presence of the ferm-toun, which decided to protect the well-preserved remains and make it accessible to the public. A survey of the site and a small scale excavation informed the plans to protect it. 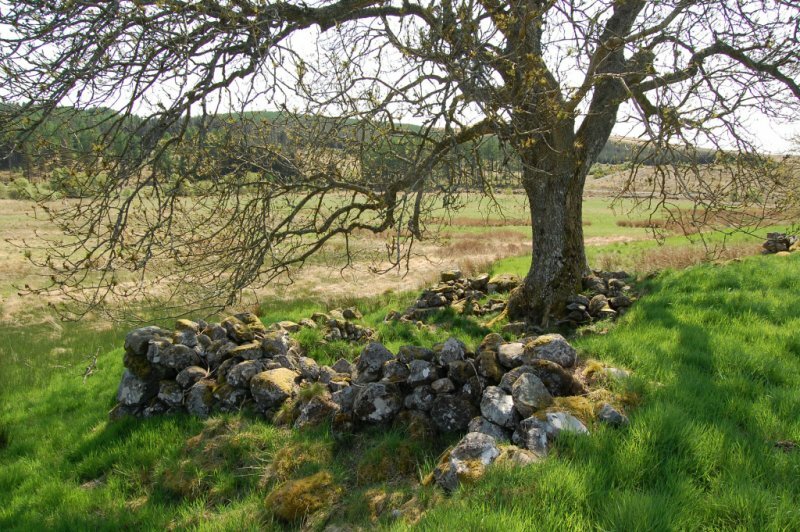 The fieldwork identified a variety of structures including several houses and byres. A byre would have held animals or crops. Unusually, four houses are grouped together, two semi-detached houses on either side of a small street. There were six corn drying kilns on the site. These would have dried the crops brought in from the fields, farmed in the surrounding area. The corn would then have gone to the mill. The mill was water-powered. 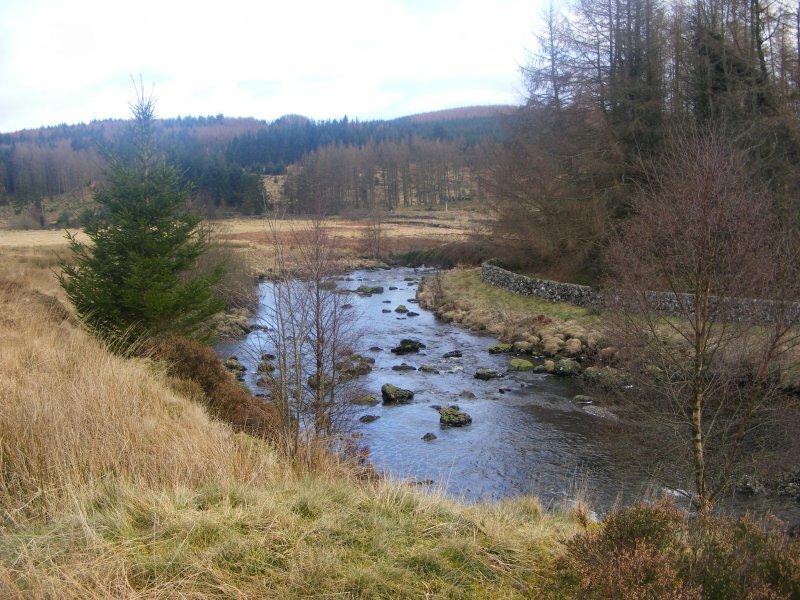 The water was carried down from the nearby Polmaddy burn to the mill pond. This was done via a wide, stone lined channel, called a lade. The sluice gate controlled the supply of water stored at the mill pond. Opening the gate allowed water to run to the mill, turning the waterwheel, which then turned a large grinding stone that ground the grain.